WITS Interactive is a leading DesignTech Agency working across digital, print, film and offline medium to provide bespoke immersive and experiential solutions to its clientele. With its remarkable work across all sectors, the company has achieved huge success making it one of the most prominent companies in its industry. 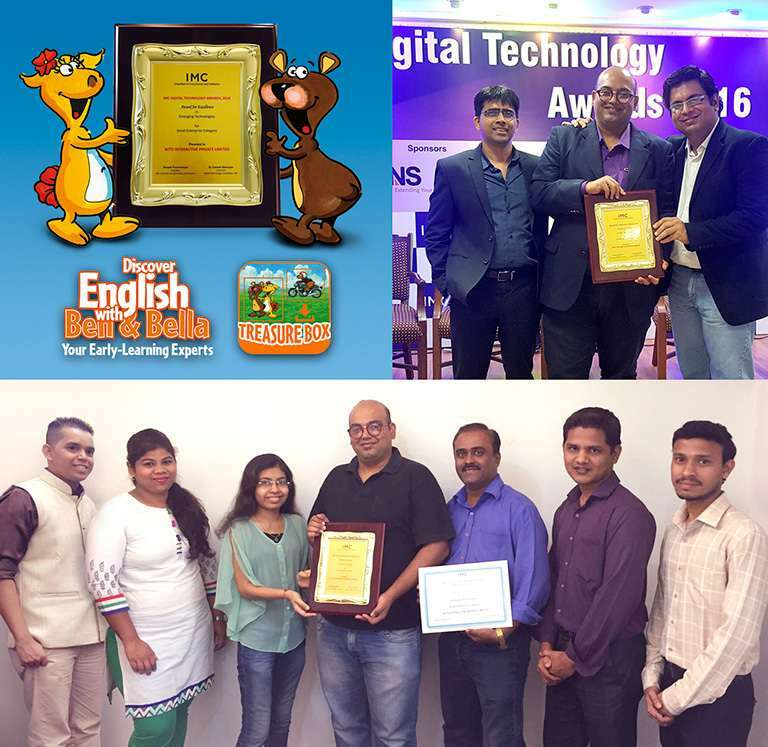 With great success stories and achievements the company is proud to announce that they have been awarded for excellence in Emerging Technologies by the IMC Digital Technology Award 2016 which was held in Mumbai at Walchand Hirachand Hall, IMC Chamber of Commerce & Industry on 12th April 2017. WITS Interactive was nominated and awarded for Ben & Bella - Treasure Box, an app that focuses on teaching the English language to pre-schoolers in a fun and engaging manner using Augmented Reality.